Manage your 3 chefs in order to serve your customers efficiently. 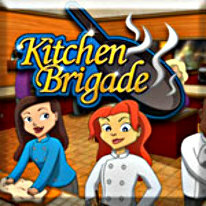 When the orders start piling up, give your chefs a hand by playing cooking mini-games! Serve enchiladas, clam chowder, chicken satay, and over 50 other recipes!